You can set up your email account on your Android. To do this, follow the instructions below to manually configure the email account. The first step is to log into your cPanel account so you are aware of your email account details. If you are unsure on how to do this, please view the following help article - 'How to log into cPanel'. You should find that you are in your email accounts management section. If you scroll down, you should find the email account record for the one which you are looking to set up on your Android. Against that record, you should see an option shown as 'Configure Mail Client' which you need to select. Next, on your Android, enter 'Mail'. Select 'Other (POP3/IMAP)' and click on 'New Account'. 'Email account': Your email account email address. 'Protocol': IMAP (secure and recommended) or POP. 'Email address / Username / Password': This information should be already completed. 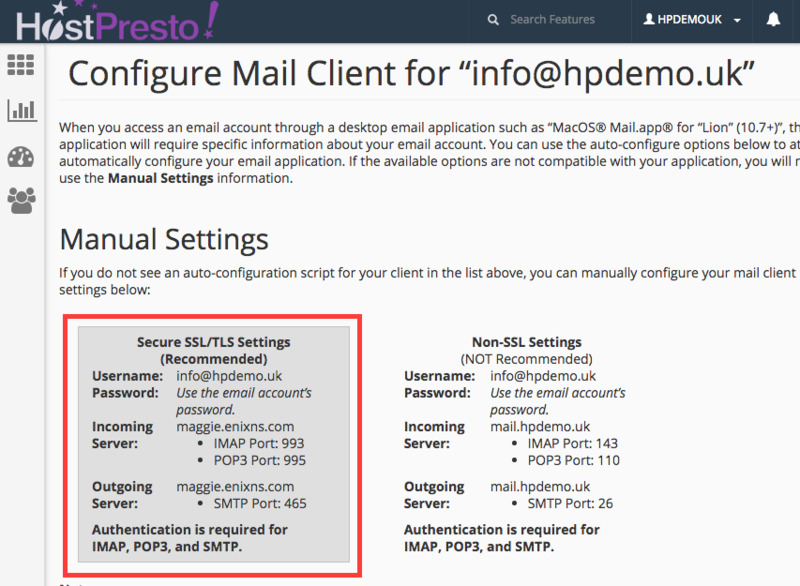 'IMAP Server': Your email account incoming server. 'Security Type': Select 'SSL' for IMAP, 'None' for POP. 'Server port': Your email account incoming server port. 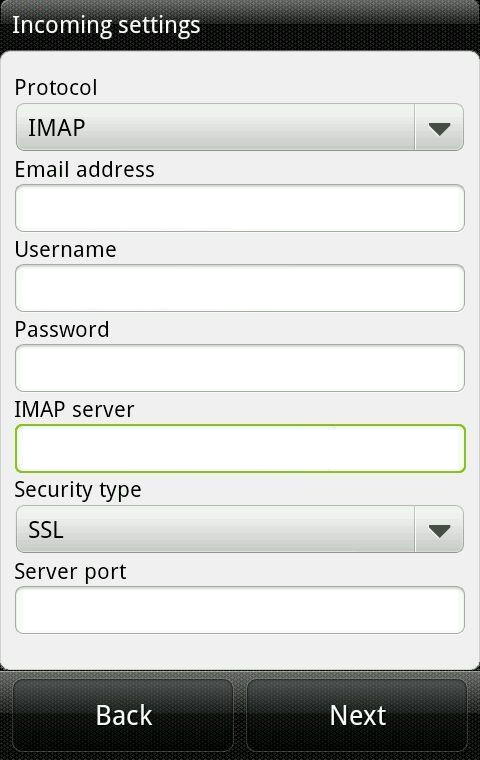 'IMAP Server': Your email account outgoing server. 'Account Name': A name for your email account (usually the email address). 'Your Name': Your name that the recipients will see. 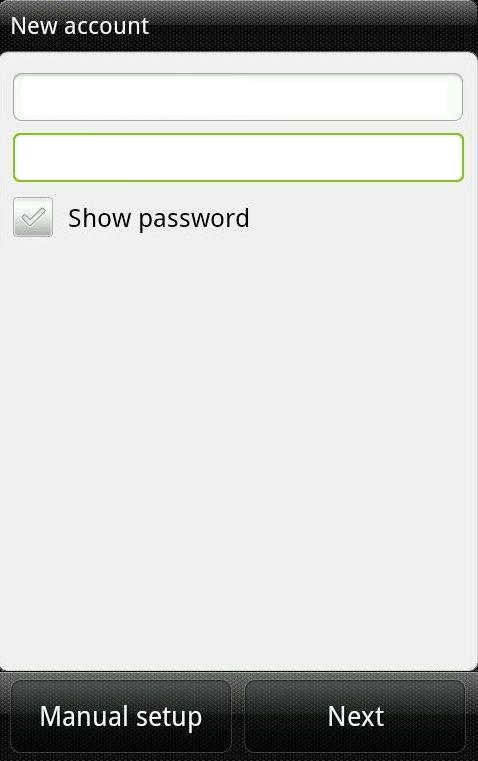 Your Android has now been set up for email access and you can now start sending and receiving emails.